With our rich industry experience, we are engaged in manufacturing and supplying a wide range of material handling equipments and other industrial fabricated items etc. Our range encompasses Pre Engineered Building Structure, PEB with Mezzanine Floor, Gantry Crane, Assembly Table, Electric Wire Rope Hoist etc. These products are designed in line with latest market developments using high grade raw material and cutting-edge technology under the supervision of highly skilled professionals. 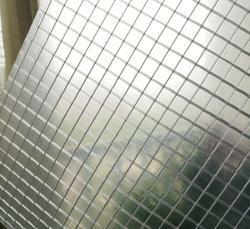 Our esteemed clients can avail these products at the most competitive prices. Clients can avail from us the finest quality Material Handling Trolleys that are available in various sizes, finishes and specifications for our clients. 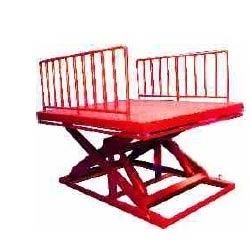 These trolleys are manufactured as per the set industry norms using high grade raw material that is sourced from some of the trustworthy vendors. Our quality controllers methodically examine trolleys on pre defined parameters at our advanced testing unit. Each and every trolley is vigilantly examined by our quality inspectors on predetermined parameters. Fostered with our rich industry experience and a team of highly experienced professionals, we are involved in offering an exclusive array of General Industrial Fabricated Product. Extensively appreciated for its robust construction, high strength, heat and water resistance and durability, this product is highly valued among the clients. Available in various sizes, material, finishes and specifications, the offered product is manufactured using high quality raw material that is sourced from our trustworthy vendors. 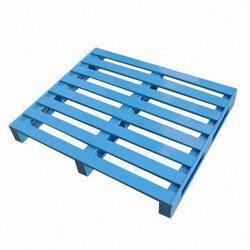 Pioneers in the industry, we offer foldable steel pallets, wire mesh trolley for warehouses, foldable pallet and metal box pallets from India. We are instrumental in manufacturing and supplying superior quality Material Handling Equipment that is designed at par with the set quality standards. This is developed using high grade raw material and latest technology by our experts at our well-equipped manufacturing unit. This equipment is meticulously tested on various quality parameters to ensure its durability and reliability. The offered equipment is broadly appreciated by our clients due to its durable finish standards, user friendliness and long lasting durability. 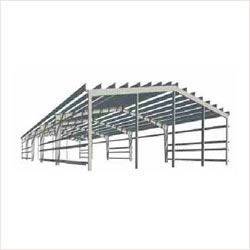 Industrial storage products are category of Material Handling Products which are used for storage in warehouses. 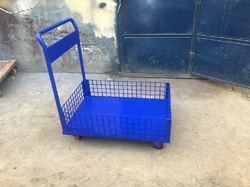 , I. e. Metal pallet, Metal Stillage , Bin Pallets, Foldable Bin Pallets, Dispatch pallets, exports Pallet etc. 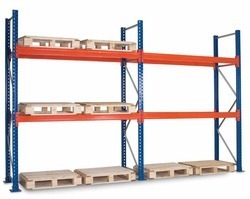 Pioneers in the industry, we offer pallet racks, die storage rack, fifo system racks and slotted angle rack from India. We are successfully ranked amongst the top manufacturers and suppliers of high grade array of Pre Engineered Building Structure. In order to fulfill the diverse requirements of our clients, we offer Pre Engineered Building Structure and PEB with Mezzanine Floor. This is developed using optimum quality raw material, which is procured from some of the most trustworthy and certified vendors of the industry. The offered structure is valued for its unmatched quality, longer service life, user-friendly nature and durability. 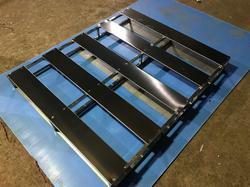 We are a leading Manufacturer of scissor lift and goods lift from Faridabad, India. 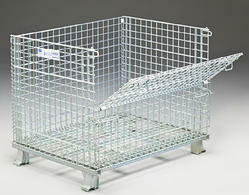 We are Manufacturer of All Types of Standards & Non Standards Wiremesh Containers, Foldable Pallets & Wiremesh Pallets.